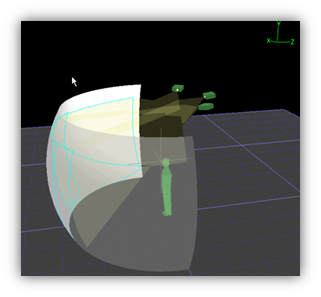 Three experiments examined the use of vibrotactile cues to guide an operator toward a target. 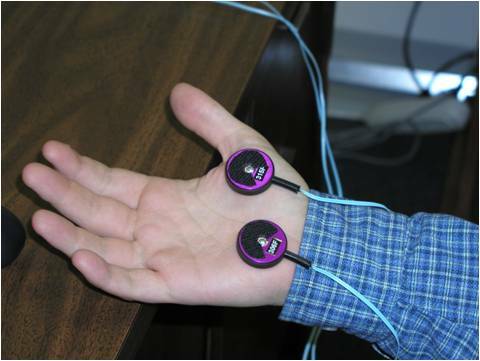 Vibrotactile stimulation on the hand can provide spatially stabilizing cues for feedback of subtle changes in position. When such feedback is present, a deviation from the point of origin results in tactile stimulation indicating the direction and magnitude of the positional error. 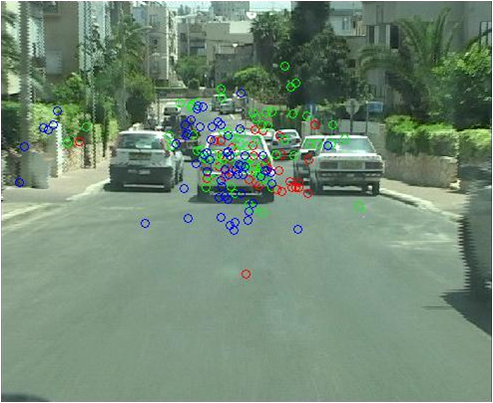 Likewise, spatial deviation from a desired position displayed tactually can provide robust position guidance and stabilization sufficient to improve the acquisition time and accuracy of fine cursor control. 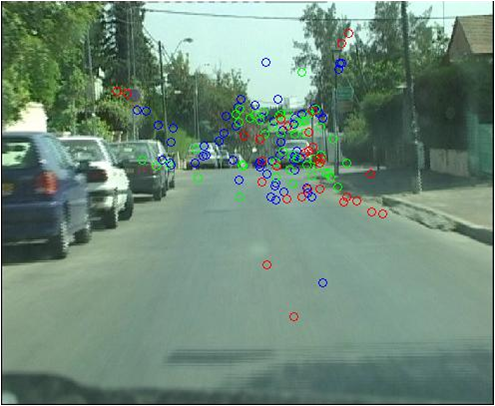 A major advantage of this mode of information representation is that it can be present at the same time as visual cues with minimal cross-modal interference. Our findings suggest that performance is actually enhanced when both tactile and visual cues are present. Although previous studies have suggested that various forms of tactile feedback can provide position guidance and stabilization, to our knowledge, this work is the first that details the effect of tactile feedback on target acquisition directly. 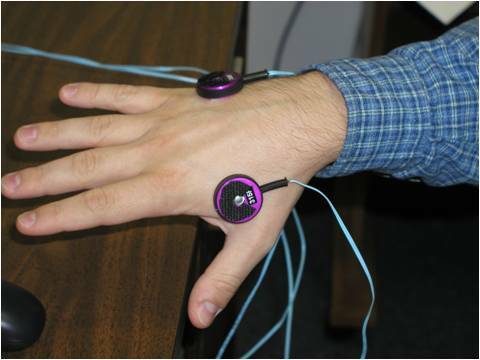 •Experiment 1 – focued on where to place the tactors – tactor placements on the palm versus on the back of the hand, while targets appeared to the left and right. •Experiment 2 – focused on the pattern of the continous tactile cues – effect of continuous relative distance cues (pulse rate of stimulus sweeps-up vs. sweeps-down as the cursor approaches the target) and on-target versus off-target tactile stimuli. •Experiment 3 – focused on the effectiveness of the tactile cues, do they facilitate the entire movement of just the initial movement toeard the target and the fine tuning on target – investigate the interaction between the near-target pulse rate and on-target cues and establish if there are performance differences between discrete and continuous distance information for target selection. Driving requires the driver to maintain high levels of alertness even with little or no interesting stimulation. As the driving route becomes more monotonous and familiar the driver is susceptible to loss of alertness and ‘passive’ fatigue symptoms (fatigue that develops over time when there appears to be little or no interesting stimulation). “While much has been written about the glories and thrills of flying, it seems to me that too little has been stated about the boredom and tedium that drags on in between these fun-filled times. Although there is a saying that flying encompasses hours and hours of boredom, interspersed with occasional moments of terror, the tedium is seldom stressed. This chapter is not about terror, but about those long hours of sitting in a cockpit, as mile after mile of repetitious scenery sailed by. It is about the little things I would do to keep my interests from sagging and my eyelids from slamming shut”. To counteract fatigue, drivers adopt different coping behaviors while driving; behaviors that they think (or hope) will maintain their alertness. Most common behaviors include listening to the radio, opening a window, following the separation line, talking to a passenger/on the phone, and drinking coffee. In research studies some of these behaviors were not proven to be effective in maintaining alertness. Little has been done in finding technological solutions to make the driver more alert (as opposed to alert the driver of his state). 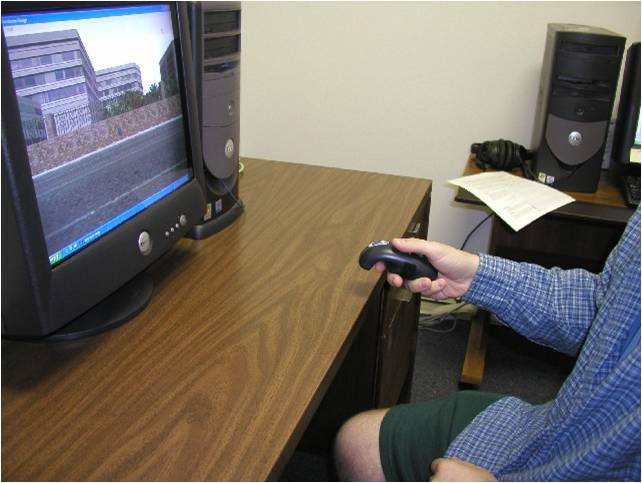 In a simulator study among professional truck drivers, we examined whether using cognitive-demanding games (such as Trivia) helps in maintaining alertness in prolonged monotonous drives. Our study showed short-term effectiveness for the ‘Trivia’ AMT particularly in comparison with driving without countermeasures. Listening to music was also more beneficial than we expected. 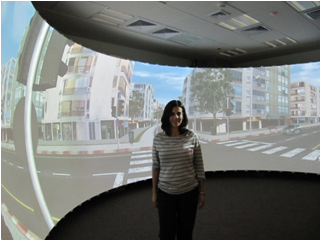 We evaluated the effectiveness of alertness maintaining tasks (AMTs) on driver performance, subjective feelings, and psychophysiological state in monotonous simulated driving in two experiments. 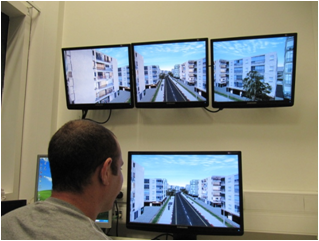 In the first experiment, 12 professional truck drivers participated in five sessions of simulated driving: driving only, driving with one of three AMTs (counterbalanced), and driving while listening to music. AMTs were not equally effective in maintaining alertness. The trivia AMT prevented driving performance deterioration, and increased alertness (measured by standardized HRV). The choice reaction time AMT was least demanding but also increased subjective sleepiness and reduced arousal (measured by alpha/beta ratio). The working memory AMT caused a significant decrement in driving speed, increased subjective fatigue, and was regarded by the participants as detrimental to driving. Trivia was preferred by the majority of the drivers over the other two AMTs. Experiment 2 further examined the utility of the trivia AMT. When the drivers engaged in the trivia AMT they maintained better driving performance and perceived the driving duration as shorter than the control condition. The two experiments demonstrated that AMTs can have a positive effect on alertness. The effect is localized in the sense that it does not persist beyond the period of the AMT activation. The Figure shows the Alertness Ratio (derived from the EEG) for a single driver. The local positive effect of the Trivia-AMT on alertness is apparent.